View the entire table of contents for the Dec. 31, 2009 - Jan. 15, 2010 issue. At first, no one in the room could believe it. Wine Spectator senior editor James Suckling was moderating a seminar on Brunello di Montalcino at the New York Wine Experience. When he introduced the final wine of the tasting, Valdicava's Brunello di Montalcino 1997, he explained that owner Vincenzo Abbruzzese had sent the last six cases of the wine in his cellar to New York so the audience could taste it. He had no more. The crowd of 1,000 people in the ballroom fell silent. Then they stood to applaud. 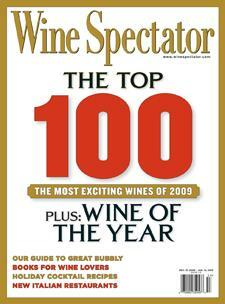 For the full article, check out the new issue of Wine Spectator, on newsstands December 8, 2009.